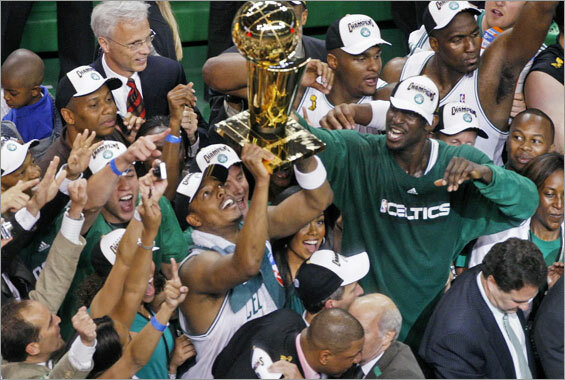 The 2008 NBA Finals were held June 5 through June 17 of 2008, to decide the winner of the 2007 – 2008 NBA season, and conclude the season’s playoffs. The Boston Celtics, top-seeded champions of the Eastern Conference, defeated the Los Angeles Lakers, top-seeded champions of the Western Conference, four games to two in a best-of-seven series. This was Boston’s first title since 1986 and 17th overall.